Thermostats have come a long way from being manual dials. These important HVAC components now come in a wide variety of options that let you remotely control the temperature in your home. On the one hand, there are programmable thermostats that allow you to set your preferences on a certain schedule. On the other, there are smart thermostats that do the same thing but with added features that work for tech-savvy individuals. 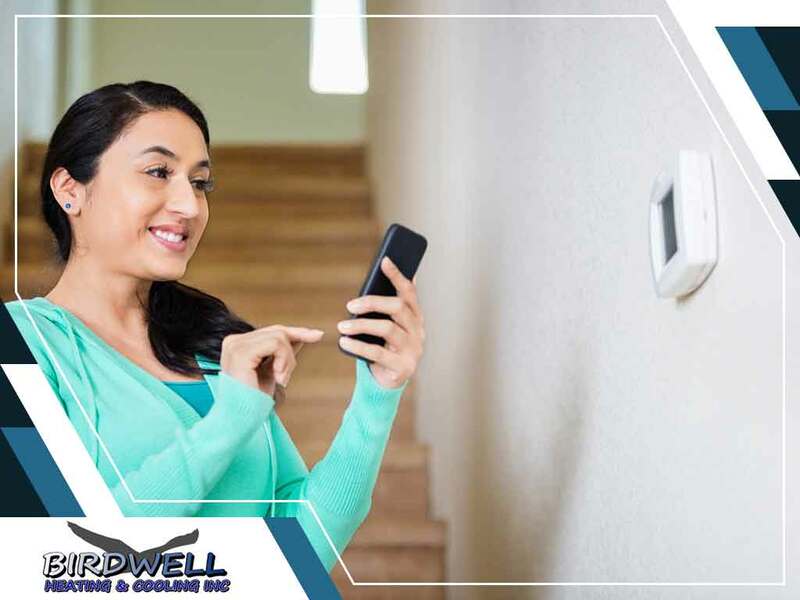 Birdwell Heating & Cooling Inc., your cooling and heating repair experts, discuss the advantages of both types of thermostats. Achieving savings without compromising comfort can be attained through a programmable thermostat. It provides full customization, where you can set your desired temperature for each day of the week. That way, you won’t have to operate it manually. Whether you are sleeping or you are out of your home, you can be sure that this type of thermostat will operate based on your comfort preferences. Through this setup, you can save on energy bills but before you pursue this, be sure that it is compatible with your current heating and cooling system. If necessary, talk to one of our certified professionals for a proper replacement. A smart thermostat works the same way as the programmable type, but with more features and higher levels of functionality. It no longer requires the user to be in front of it to set the temperature. Controlling the temperature can be done from a smartphone app that also provides reports on energy use, counters for run times, and other important notifications. As long as it is Wi-Fi-enabled, a smart thermostat can be controlled even when you are not at home. It’s no surprise that it’s a top choice among busy and high-tech families. Consider this if you want to take on a modern approach in home living, though it may not be necessary if you already have the programmable type installed. Turn to Birdwell Heating and Cooling Inc. for your quality HVAC system sales and services. Our NATE-certified technicians perform AC repairs, heating installations, and general HVAC maintenance. Give us a call at (256) 229-3009 for more information. You may also fill out our contact form to schedule an appointment. We serve Athens, AL, residents.